Mushroom And Baby Corn Manchurian | Simple and Delicious ! Mix maida, cornflour, garlic ginger paste, 1 tsp pepper powder in little water to make a thick paste. Add chopped mushrooms and baby corns in to this. Mix well.Heat oil in a frying pan and shallow fry them until slightly golden brown. Chop onion and ginger. Heat oil , saute onion until lightly brown. Add ginger and green chilly slits. When the smell of ginger comes, add fried mushrooms and baby corns into this. Add celery, spring onion, 3 Tbsp soya sauce, chilli sauce,remaining pepper powder and stir well. Cover and cook on a low flame for a while. Stir again, remove from fire, add 1 Tb soya sauce and tomato sauce. If needed add salt. Cover and let it set for half an hour. u mean deep fry them right? i never used the method of shallow frying for manchuria. Hey both veggies are my favourite and luks so tempting.. I wouldn't deep fry them. Shallow frying on a medium flame will work. Medium slices of mushrooms will be good. Mushroom and babycorn wonderful combination. 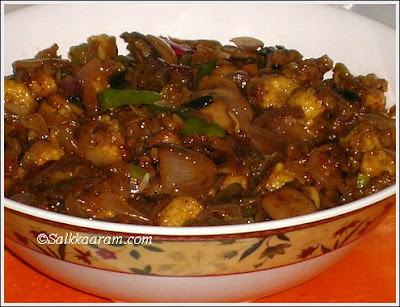 this is absolutely delicious...feel like grabbing it from the photos..:)..
Hey Seena, ur manchurian looks great.. i would definately try this.in ur style. Seena i am already drooling the dish looks awesome. This looks awesome seena, will try soon!!! I don't specialize in anu cuisine if thats what you asked. I like to mix and match. But I love indian and italian the most.. Thank you very much for adding the blog to you list in advance, i really appreciate it. Seena, What a lovely preparation! 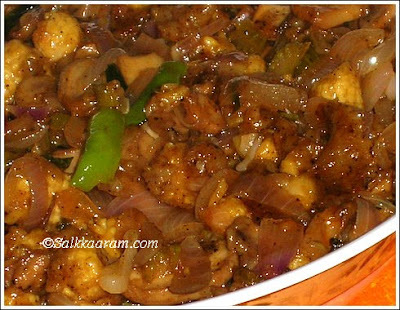 I have made cauliflower manchurian and love it, but I have never before seen a recipe with mushrooms and baby corn. It sounds perfect, and I will absolutely try it. This looks so delicious! Love mushrooms in any form....have to try this some day. dikhane me to achhi hai.